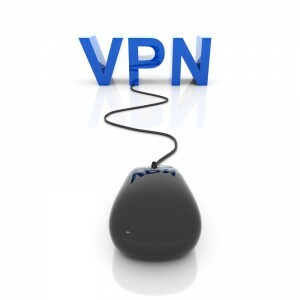 Virtual private network (VPN) is a type of network technology that is designed to create a very secure network connection over a public network such as those at WiFi hotspots or even the private network that is owned by a specified service provider. Several educational institutions and government agencies as well as large corporations are using the virtual private network technology to allow remote users to securely connect to their private network. Virtual private networks also allow multiple connections over long distances much like a wide area network (WAN). VPNs are mainly used to extend intranets all over the world to disseminate information as well as news to a much wider user base. It enables the sharing of files and video conferencing as well as other similar network services. Virtual private networks do not provide any additional functions other than the ones existing now. What they only do is to implement those services in a more efficient manner, in a cheaper way, and retains better security because it is a restricted network. A very unique feature in the virtual private networks is their great ability to work as an anonymous private network and also in the public networks just like the internet. Utilizing a technique called tunneling, virtual private network is using the same hardware infrastructure like the existing Internet and even the intranets links. VPN evolved to include many security strategies so as to protect the virtual and private connections. It is capable of supporting at least three modes of use that are different i.e. controlled access within the intranet, Internet remote access connection, and as LAN to LAN inter-networking. First the remote client in need of logging into the organization network must be connected to any public server. From there, the host now begins VPN connections directly to the organization VPN server. This kind of connection is facilitated by the VPN client that is installed on the remote host. As soon as the connection has been made, the remote client then communicates with the internal organization systems through the Internet just the same way as if they were a local host. So prior to VPNs, the remote employees did access the company networks over the dial-up type of remote access servers. Unlike these older VPN clients, an Internet VPN is the exceptional alternative. Apart from using VPN for just remote access, a virtual private network can also bridge several networks together. In this way, an entire remote can easily join to different organization networks to create an extended intranet. This kind of solution utilizes the VPN server to VPN server connection. Internal networks may use VPN technology in order to carry out controlled access to the various individuals subnets contained within a given private network. Using this method, the VPN clients are supposed to obtain connection to a VPN server that acts as a gateway. This type of virtual private network utilization is unique in the sense that it does not involve the use of Internet service providers (ISP) or public network cabling. While this mode of VPN use does not require an ISP, however, it provides the security advantages of VPN to be deployed within a company. Support costs – With VPNs, the cost required for maintaining servers is less compared to the other approaches simply because organizations are able to outsource the much needed tech support to professional and third-party service providers. These providers are able to charge less because of the economies of scale through the servicing of many business customers. VPNs do require more technical knowledge when it comes to network security related issues and careful installation or configuration is important. This ensures you have adequate protection on a public network just like Internet. The dependability as well as the performance of Internet-based VPN isn’t under a company’s direct control. Instead, the alternative relies on the ISP. Access speed declines as the user who is trying to access the virtual private network increases distance away from the server. Sometimes, VPN products from different vendors are not always compatible due to issues with different tech standards. Attempting to mix equipment may cause a technical problems, and using equipment from single provider may not yield much savings. Internet based VPNs evade this scalability crisis by simply tapping the public lines and network readily available. Particularly for remote as well as international locations, an Internet VPN offers superior reach and quality of service. In summary, VPNs are a great way to maintain privacy and avoid transmitting sensitive data over public networks. Even though load times may increase with distance, they serve the purpose for which they were intended – privacy & security.